One woman is less lonely while working from home. A teenager finds comfort while suffering from alopecia. A doctor's orders help a man battle depression. What do they all have in common? A loving pet. 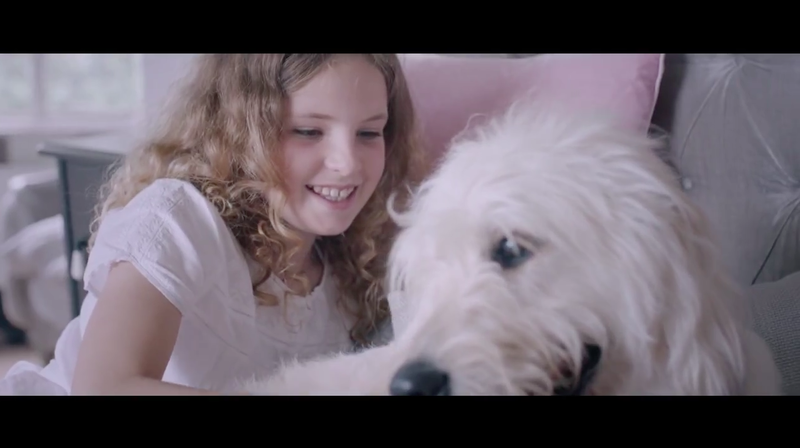 This new ad for U.K. animal shelter Battersea examines the uniformly sweet, if occasionally goofy, ways in which humans relate to, and rely on, their cats and dogs. The "Who needs who?" tagline distills the point nicely: While technically it's people who adopt pets, the resulting relationship is more of a two-way street. The position is a touch defensive and risks falling into the genre trap of schmaltziness, but it thankfully ventures nowhere near hyper-manipulative Sarah McLachlan territory. More important, it's also heartfelt and credible. Everyone needs a reason to laugh sometimes; a large dog who wholeheartedly believes he's small enough to sit on your lap is a pretty good one.